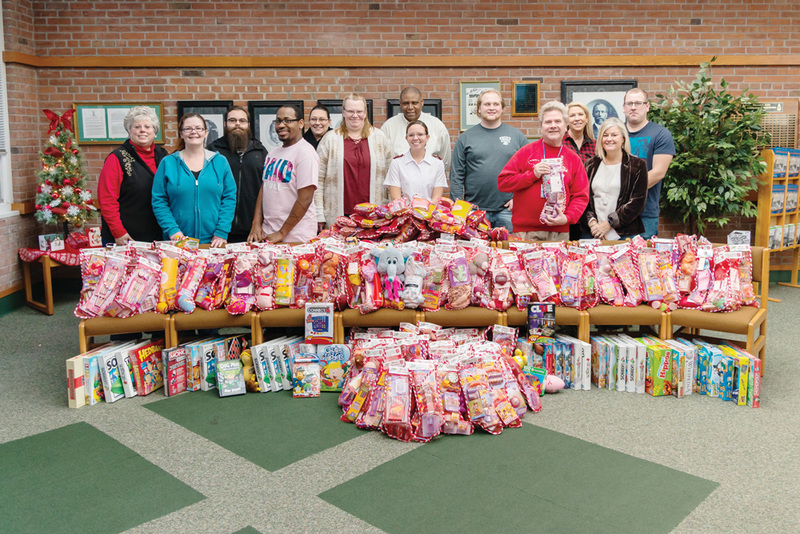 Delaware Technical Community College’s International Business Honor Society, Alpha Beta Gamma (ABG), recently paired with the Salvation Army to stuff holiday stockings with toys, games and other items to donate to children throughout Sussex County. A total of 186 stockings and 40 board games were collected. Pictured, from left, are: Sharlene Manship, advisor; Jennifer Milner, Frank Nowak, Jeremy Henry, Chala Breen, instructional director; Robin Edwards, Lt. Kathryn Alban Guerrero, Sussex Chapel Salvation Army; Anthony Ireland, Mason Johnson, Randy Miller, Kim Fischer, advisor; Kim Burton, advisor; and Mike Baker.